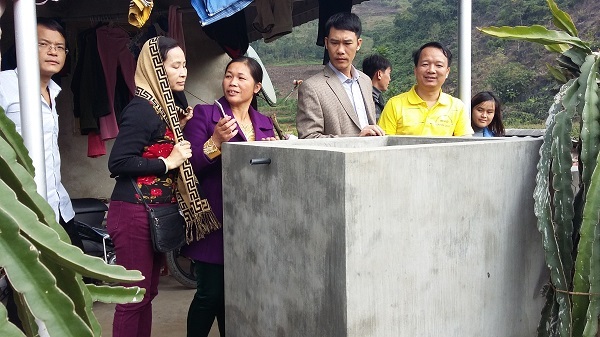 The project "Treatment of polluted water for daily life of ethnic minorities in the poor areas" has been checked and taken over in Cao Bang and Ha Giang in early December, 2017 after running for two years. 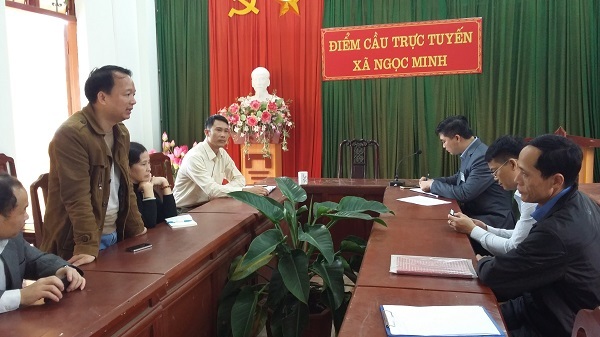 This technology tranfer project is funded by the Committee for Ethnic Minority Affairs, presided over by Vietnam Academy for Ethnic Minority, accomplished by Dr. Ngo Van Gioi, Assoc. Prof., Dean of the Faculty of Earth and Environmental sciences, Thai Nguyen University of Sciences, leader of the project. The project focuses on treating unsafe water directly used by ethnic minority people in poor areas. The project goals are to successfully build models of technology application to treat surface or underground water into clean water for ethnic people in mountainous and poor areas; to improve the local people's awareness of rural environmental sanitation and clean water use. 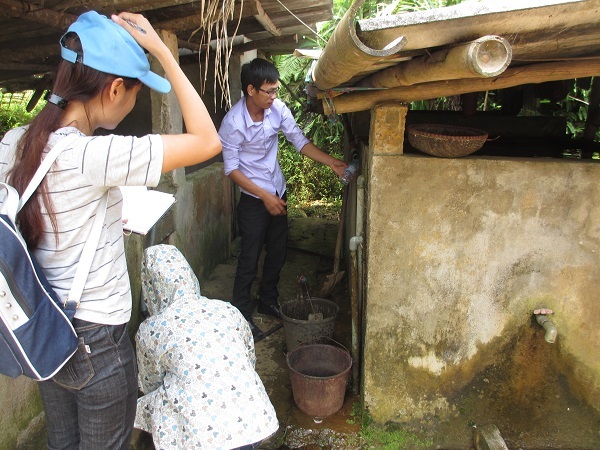 The field research and site selection in Minh Thanh commune, Nguyen Binh district, Cao Bang and Ngoc Minh commune, Vi Xuyen district, Ha Giang showed that, the local people has used water directly from ruvilets or small streams for cooking and washing. They transfer water through plastic pipe systems or carry on shoulder. The temporary and out-of-date water storage and use are factors of water pollution. 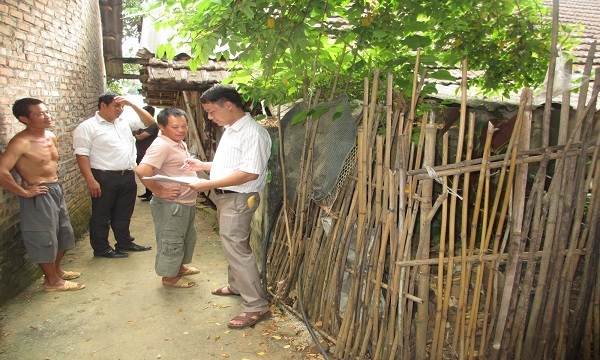 Moreover, local people have lacked in knowledge of and attention to sanitary water. Dr. Ngo Van Gioi, Assoc. Prof. and his staffs had sampled and analyzed the quality of surface water supplied in research areas before implementing the project. The results showed that water was contaminated with heavy metals, iron, ammonium, nitrate, turbidity, and hygienic properties. It needs to be treated before use. Multi-layer filter technology was selected to treat this kind of water sources because the contamination level is not too high. 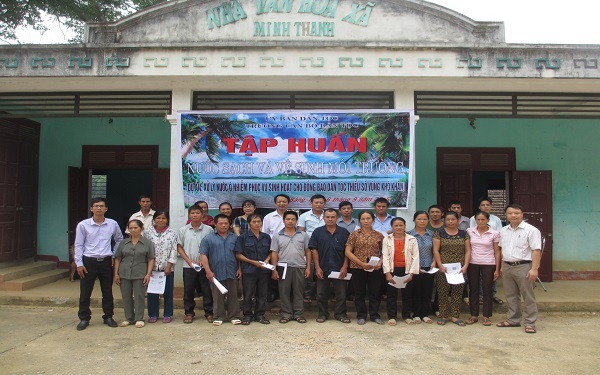 In two years (2016-2017), the project has conducted training and raised awareness for 120 representatives of ethnic minority households on clean water, the benefits of using clean water, as well as guided the structure and processes of operation and use of the model of multi-stage water filters. The project has also carried out technology transfer, in collaboration with the Project Management Unit in 02 communes, to build 40 models of water purifier for domestic use. Results of water analysis after treatment through multi-layer filter showed that the water quality was improved very well. Most of the contaminant contents in the waters are were compliant with criteria of the QCVN 02: 2009/BYT standards of the Ministry of Health. The project also organized the visiting groups for other farmers in and outside the two chosen communes to learn the process of building, operating and using the demonstration models . 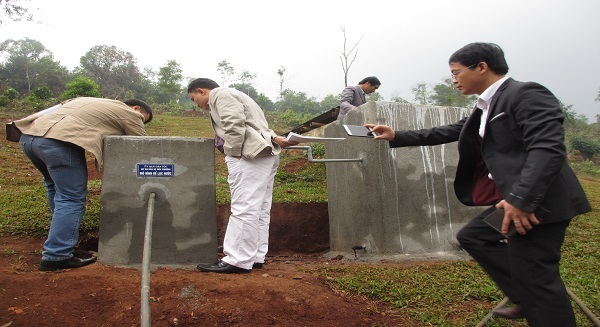 This activity did with the purpose of widening this water-filter model in Cao Bang and Ha Giang. The results of the project and the successes of the model have been offically accepted in December 2017 in the presence of representatives of the People's Committees of communes, Natural Resources and Environment Offices, Ethnic Minorities Offices and households joining the project. The project evaluation committee highly appreciated the results achieved by the project team. The project was also proposed to be implemented in other localities where water sources were polluted. 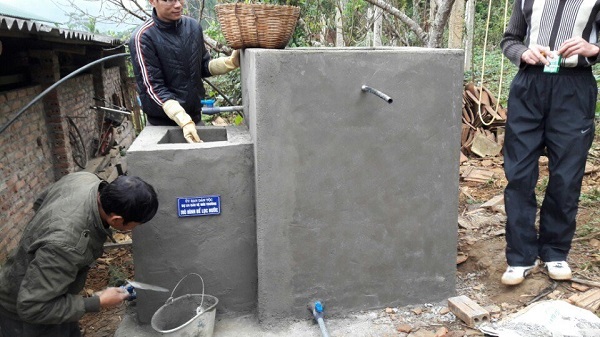 There are photos in project implimentation process and technology transfer of building a multi-stage filter tank in Ngoc Minh and Minh Thanh communes.